TWO ICONIC buildings on North Broad Street apparently are now in the hands of the same developer. Eric Blumenfeld has reacquired the Divine Lorraine Hotel and has reached an agreement to develop the nearby Metropolitan Opera House as well, he said Tuesday. Blumenfeld took title of the abandoned hotel, a blighted beauty targeted by vandals for years, at a sheriff’s sale Tuesday. Construction is to begin in January to convert the 10-story building into 125 loft apartments on the upper floors and new restaurants on the first two floors. “I’m working with [restaurateurs] Marc Vetri and Jose Garces and I’m hoping to have a third [restaurant owner] as well,” Blumenfeld said. On Monday, in the first stage of taking control of the Divine Lorraine, Blumenfeld purchased outstanding debt from New York-based Amalgamated Bank. Blumenfeld declined to say how much he paid for the note, but the Inquirer put the value of the mortgage, back city taxes and other liens at more than $8 million. The Divine Lorraine, at Fairmount Avenue, was built in 1892 as the luxury Lorraine Apartments and was one of the city’s first high-rises for the wealthy. Years later, it was the first Philadelphia hotel to be racially integrated. Blumenfeld said reacquiring the hotel – which he had bought before in 2003 for $5.8 million and then sold to a group of developers in 2006 – is key to remaking North Broad. 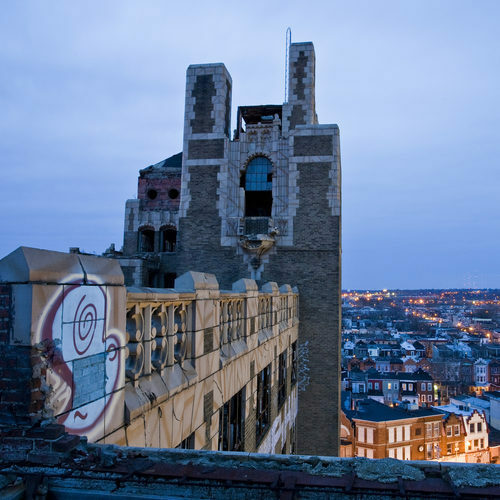 “The Divine Lorraine represents the real transformation of the corridor,” he said. Blumenfeld already has put his stamp on North Broad by developing two apartment buildings and several restaurants in or near former clothing factories north of Spring Garden Street. Now, he said, he is working with the owners of the Metropolitan Opera House, at Poplar Street, to come up with a plan to bring the old opera house back to life. “I never shy away from a challenge,” Blumenfeld said. He said he signed a partnership agreement with the Holy Ghost Headquarters Revival Center, which owns the Met, in the past couple of months. The church’s pastor, Rev. Mark Hatcher, could not be reached for comment Tuesday. 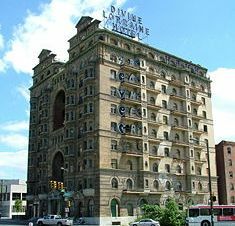 The Divine Lorraine got its name after the charismatic preacher, Father Divine, bought the Lorraine Hotel in 1948. I have been living next to this eyesore for 6 years now with my husband. The owner, a man who we’ve spoken to numerous times, has refused to do anything with this property. Our neighbors have pled with him to sell it, fought with him to clean up the overgrowth year after year and even called him for animals being trapped in the property. Recently, we had vandals break into the property to steal copper piping. Frankly I’m surprised it took this long for people to break in. I credit the delay only to our diligent neighbors and the burden that watching this property has taken on them. One such neighbor has taken this person to court a number of years ago but I’m not sure what if anything came of the legal action. I’m also not sure what recourse my husband and I have to make this person responsible for this property and its maintenance. My husband and I anticipate trying to sell our house at some point and our property value is perpetually diminishing with each day that this owner takes no action. I’d like to call L&I but know what a bureaucratic mess it can be sometimes. If anyone can give us any helpful information as to how we can get some results, we’d be extremely grateful. 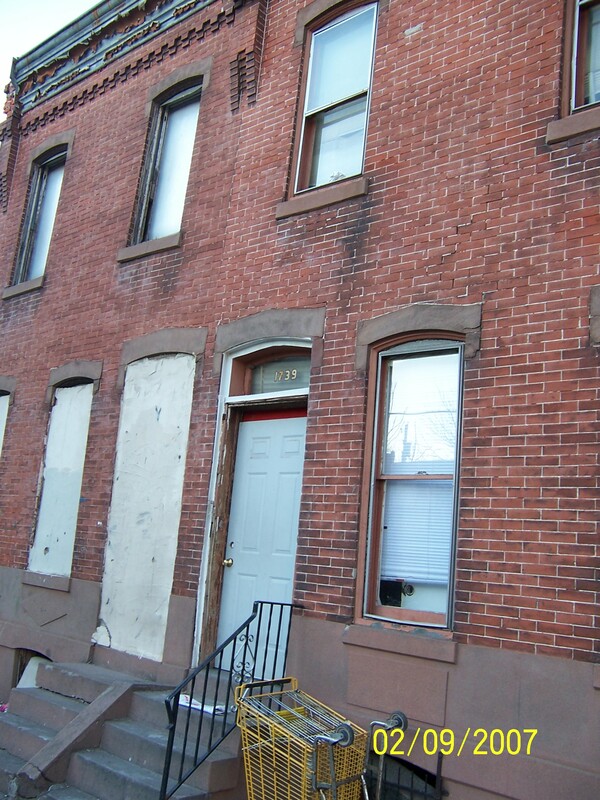 This story, a partnership between City Paper and PlanPhilly, is the first of a series – “The Abandoned City” – about vacant and abandoned city land, funded in part by a grant from J-Lab: The Institute for Interactive Journalism. Of the many, many terrible things that have happened to Theresa Lugo in front of her house, getting stuck in the foot with a used syringe is not, if you can believe it, the worst — although that was bad. That’s not all she and the other residents of the 300 block of Tusculum in Kensington have had to deal with — not by a long shot. In an already-rough area (the drug-ridden neighborhood is, among other things, the murder capital of the city), their block, a small row of tidy, owner-occupied houses, stands out. Drug dealers, junkies and prostitutes roam the street at all hours. Ambulances arrive daily, if not more often, to retrieve the living or dead bodies of people who have overdosed. The sounds of beatings — and, sometimes, pleas for help — wake residents up at night. The people on the block can point to a single, unique source of their misery: an old, mostly defunct railroad bed that passes their houses just below street level — just, that is, out of sight, winding its way through the roughest neighborhoods in the city like a kind of dry driver of drugs, prostitution, violence, murder and crime. Their little street happens to be a major access point, and the access couldn’t be easier: The only barrier between this wild swath and their front porches is an ancient, crumbling iron fence, wide open or just plain missing in several spots on their block alone.